As promised, here is the other shirt I sewed for myself recently. 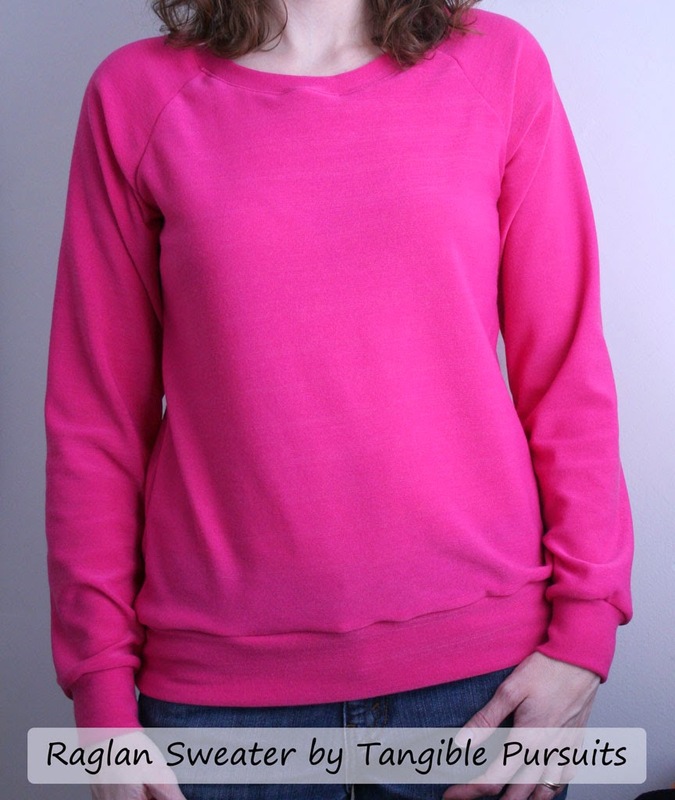 This one is a long-sleeved top in the style of a sweatshirt. 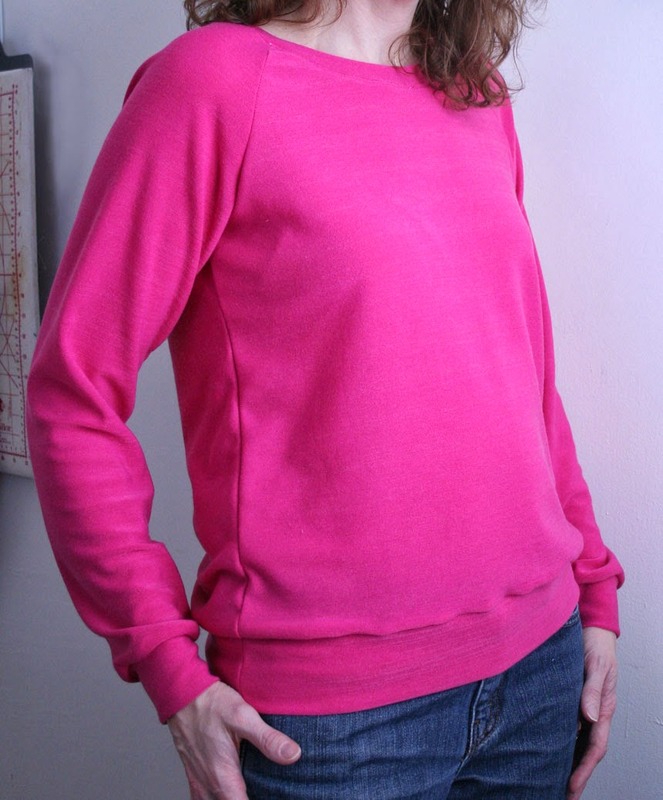 I used a bright pink Hacci sweater knit that I purchased from Fabric.com (it is much brighter than the picture at fabric.com would suggest - my pictures pretty accurately represent the color as it appears in person). 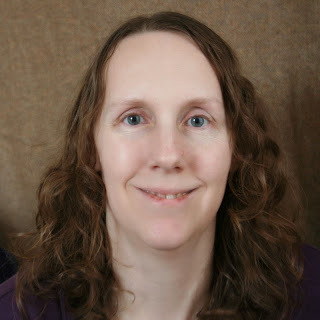 The pattern I used is the Easy Tee Raglan Sleeve pattern from It's Always Autumn. The pattern comes in a size large only. I am more of a medium, but I wanted it to have a looser fit since I was going for a sweatshirt look, so I didn't modify the width of the pattern at all. I did lengthen the sleeves, because I wanted a long sleeve and the pattern only goes to three- quarter length. To do that I just used one of the sleeve pieces from the Jalie zip up hoodie to get the correct length. I also added cuffs at the sleeves and a banded bottom to complete the sweatshirt look. Also, as I think I have mentioned before, the cuffs and banded bottom are so much easier than hemming! I have already worn the sweater a few times and I love it! 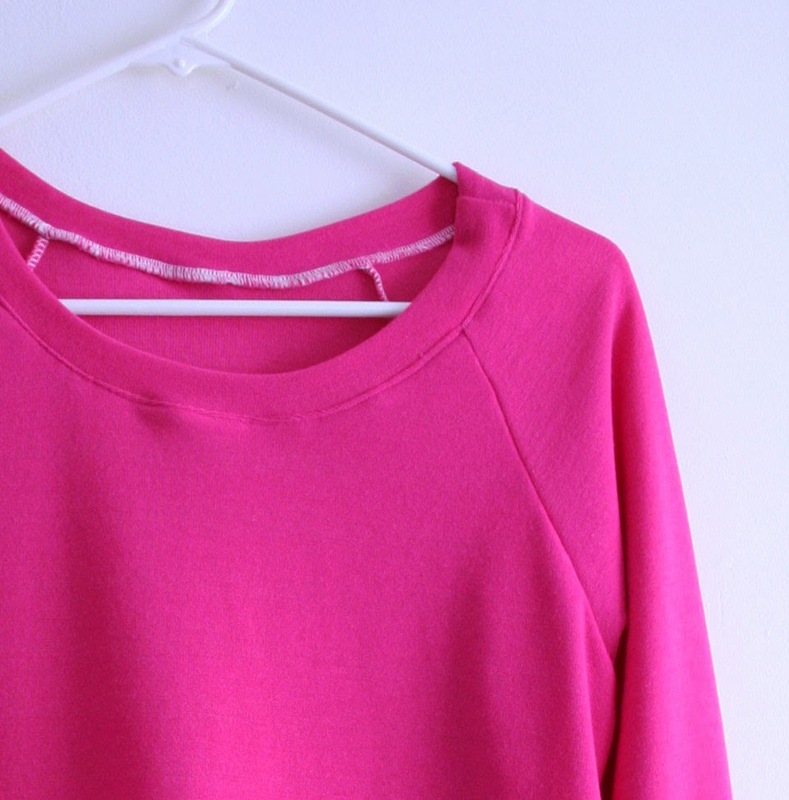 It has the comfort of a sweatshirt, but the pretty hacci sweater knit dresses it up a bit. I have worn it casually with jeans and have even worn it with a suit. The bright color makes me think of spring and warmer days ahead, while the long sleeves keep me warm on these still unseasonably cold days!